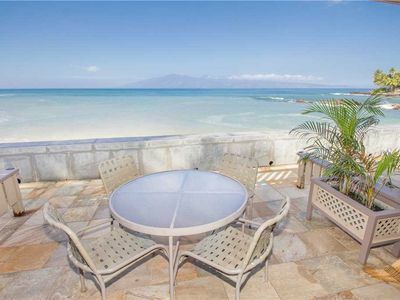 This lovely ocean front condo features gorgeous ocean vistas from the living room, bedroom and private lanai. 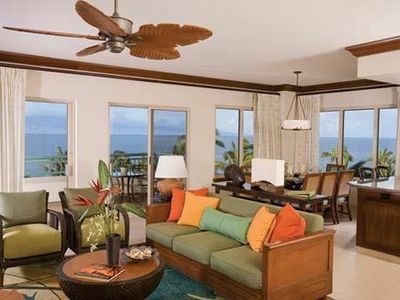 Relax in comfort at the edge of the Pacific ocean, with unparalleled views of whales, dolphin, sea turtles, rainbows, and beautiful sunsets! Open the front door to mountain views and fresh breezes. 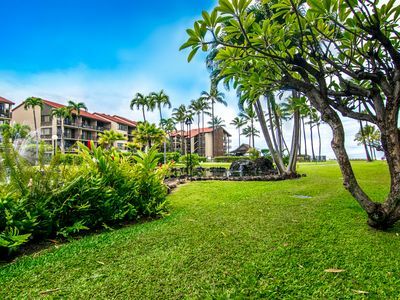 Ideally located halfway between Kaanapali and Kapalua, with everything you need close by. Remodeled kitchen with granite counter tops. Also included in the condo is a DVD/CD player, washer/dryer and in-room safe. Bring your laptop and surf free cable high speed internet access. 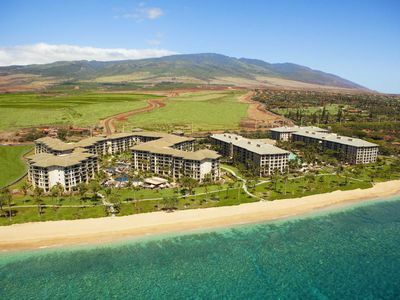 Maui offers exceptional island scenery with excellent beaches, activities, shopping and restaurants, making this the perfect place for your island getaway! Free parking plus free calls to US Mainland and Canada. •Whales swim to Maui from Alaska, spend the whole winter here to mate and give birth, then swim back and don't eat the whole time! •Whales' lungs are the size of a Volkswagen! 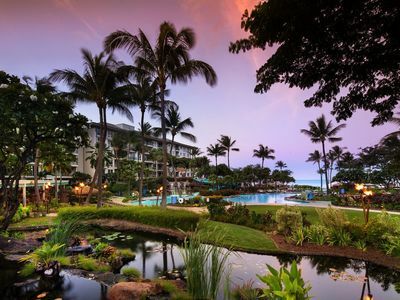 •Whales' babies, born here on Maui, grow at a rate of 100 pounds a day! Review from stay: 10/7 - 1//13/18 : GREAT Place! 5 Stars! Everything we expected. ~ James S.
Review for stay: 6/13/18 - 6/19/18: "We had a GREAT stay. The place is amazing and we will definitely be back. Thank you for being so accommodating. We washed and dried all of the white towels and they are folded and on the couch (just wanted to let you know so that you don’t need to re-wash them and waste energy). The dishes are running in the dishwasher. The keys are on the counter. Thanks again!" 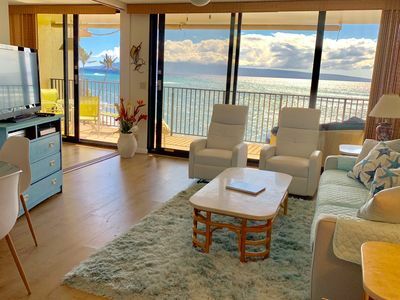 "FAR EXCEEDED my expectations in every possible way"
Great end unit with views of Lanai and Molokai- ocean front, meaning unobstructed views and 30 yards off the ocean, so close sometimes the ocean wakes you up when the waves are larger. The beach has eroded considerably over the last few years but still nice*. Remember no air conditioning… but most times it is not needed as the trade winds blow consistently. 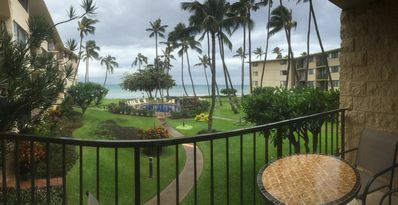 Chase n Rainbows helped us book the room and did a great job recommending things to do. The room was clean and updated. 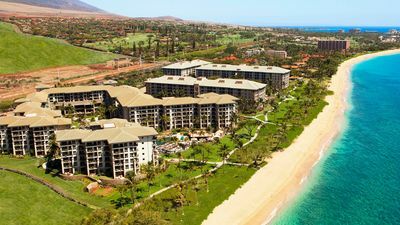 I visited Maui for the first time with my mom for her 80th birthday. When we stepped into the room (1004) we were amazed. 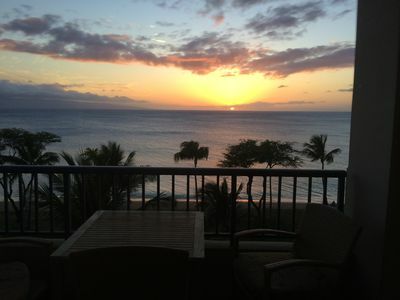 It was very clean, the amenities were great, the décor was very nice and the view was to die for. We literally could look out our balcony and see the beach below us. 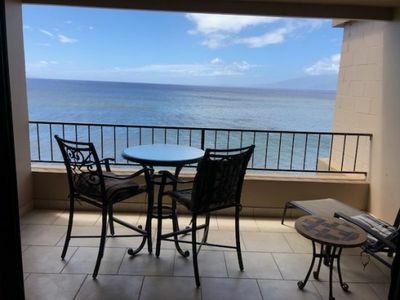 We opened the sliding glass doors and let the breeze blow in and you could hear the waves below. This facility was recommended to me and I would definitely do the same! Beach access at the Valley Isle Resort may be closed from time to time due to ocean and swell conditions. Sandbags have been installed along the shoreline. 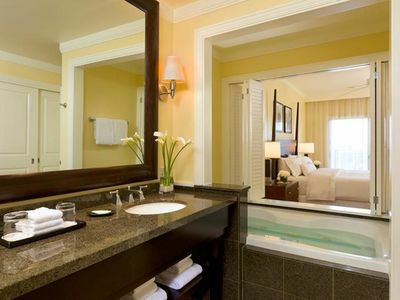 • Pride in ownership - we want to make your stay as enjoyable as possible. 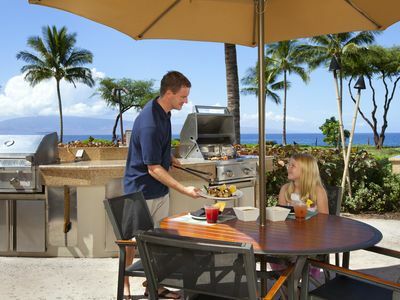 We hope you will be a return guest and refer us to your friends and family. 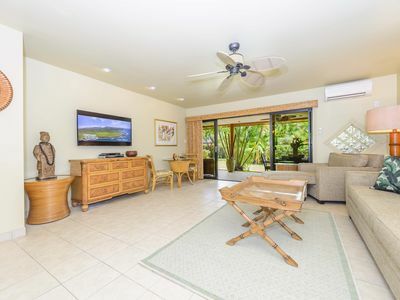 • Within walking distance to the Farmers Market, beach, The Fish Market, groceries, take-out, beach restaurants, DVD rentals, and dive shop. 5 STAR REVIEWS! 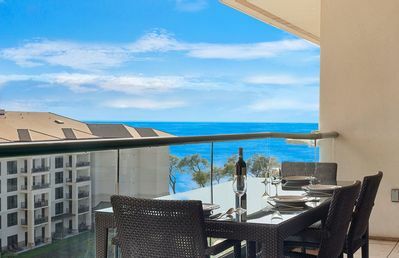 Savings RIGHT ON THE BEACH! 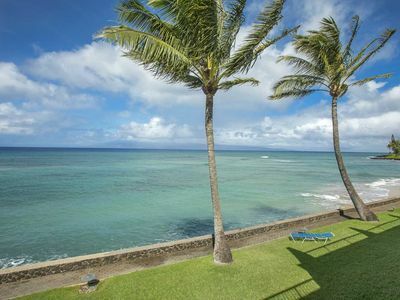 Seashell Cabana 'PEOPLE'S CHOICE' - BEST MAUI CABANAS! 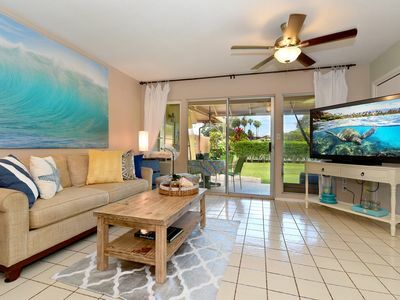 K B M Hawaii: Ocean Views, Whale Watching 2 Bedroom, FREE car! Apr, May, Jun Specials From only $299! ❗BOOK Now for 2019/2020 before the NEW RATES TAKE PLACE 30% higher! Don't Wait! 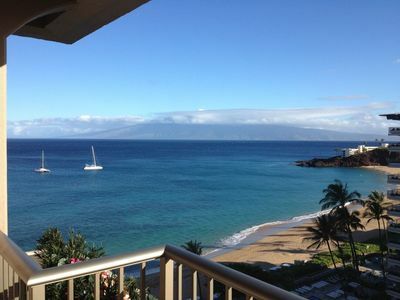 Maui Resort Rentals: Honua Kai Hokulani 818 - Top Floor 1BR w/ Partial Ocean & Mountain Views! NEW! 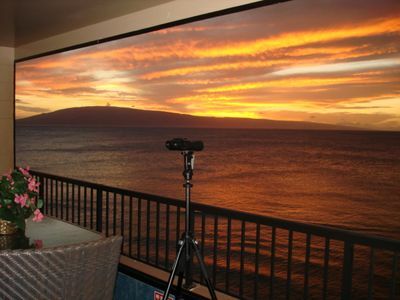 Amazing views at this waterfront condo w/balcony & pool! Family-friendly! 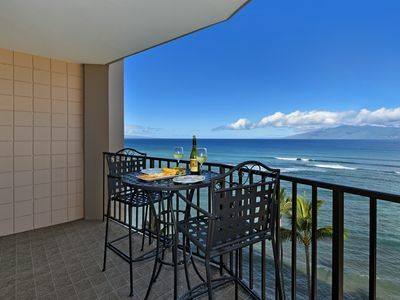 Deluxe Ocean Front 2Bd/2.5 Bath 20% off Special 'till end of May, Book your Maui Vacation Now! 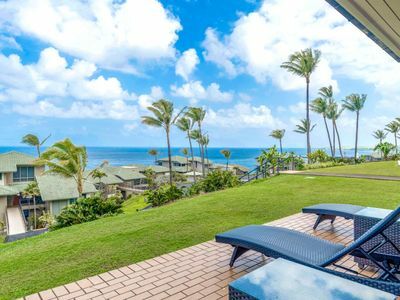 Beautiful Hawaiian villa with a king size bed!